If you’re like most people, you have a morning routine so you can get out the door by a specific time and beat the traffic. You take a quick shower, brush your teeth, then grab underwear and socks from the dresser and pants and a shirt from the closet, then eat in the car (bad, but you know we all do it). Whatever your routine, you have one and you probably don’t vary it much because it works for you. Believe it or not, the same thing is true for network operations managers. They also rely on routines to identify and diagnose common performance issues. 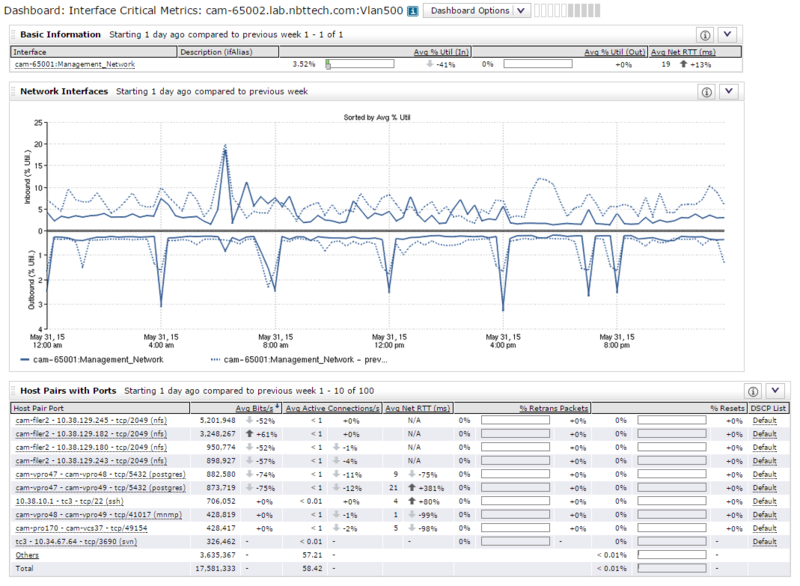 Before designing this version of SteelCentral NetProfiler, Riverbed observed about two dozen customers while troubleshooting everyday performance problems. 95% of them took the exact same steps and looked at the exact same metrics to determine if a user’s complaint of application slowness was caused by an obvious network issue or not. The biggest issue they typically face is the number of places that they have to look in order to review these metrics. The multi-step data gathering approach takes longer and is more prone to error. Single Sign On Overview: An out-of-the-box example of an Application Overview dashboard that monitors accessibility through Microsoft Active Directory and LDAP activity. Fig. 1 The Interface Critical Metrics table shows Interface Utilization, Top Host Pairs with Ports, Top Ports, Top Apps, DSCP and DSCP with Apps and Ports – the metrics most often used by NetOps managers to quickly determine if a problem is network or application based. Also not to be overlooked in this release is support for IPv6 host addresses sent via Flexible NetFlow v9, sFlow, and IPFIX. All NetProfiler reports and dashboards that are host based will accept and display IPv6 IP addresses and DNS names. So, I encourage you to give this new version of NetProfiler a try and update your troubleshooting routine. I don’t think you’ll regret how it will simplify and streamline those everyday tasks and maybe just let you eat a leisurely breakfast at home with your family.